Throughout the last year, we're enjoyed being able to tell you about our work with Flex, Porsche and our development of a new HoloLens-based AR solution with Design Interactive, as well as our partnerships with Toshiba, RealWear, Vuzix, Epson and ODG. This week, we’re exhibiting at the show (at Booth 813) and we’re part of a number of events throughout the 3-day AWE agenda. 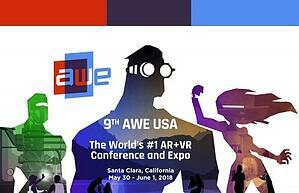 Kicking things off on May 31st at 2:10 PM in room B4 is our partner Flex talking about how to best bring AR to the Enterprise, and exploring how Atheer has helped accelerate their entry to this market. Atheer's own Amar Dhaliwal will be part of this "fireside chat" with Flex vice-president Eric Braddom. 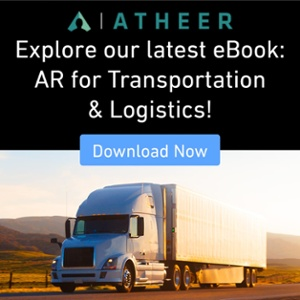 Atheer's Rika Nakazawa will be immediately following that up in the same room by leading a panel discussion on one of the most common AR use cases, Remote Collaboration and Documentation. And our founder, Soulaiman Itani, will be wrapping up with a June 1 main stage presentation at 9:20 AM about our learnings as they apply to Education, Training and Field Service. We're excited about being able to bring you own vision of the future, so come and see use at one (or more) of the speaking events, as well at our booth (again, that's Booth 813). We look forward to it!